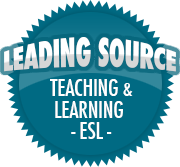 Improving English Conversation Skills | So, You Think You Can Teach ESL? In this post, I thought I would focus on helping non-native English speakers with a c ommon problem, conversation. I found during my recent visit to China many people could speak or understand some English, but were hesitant to engage in English conversation. I hear this from my students too, although some have taken English classes for years, they still have trouble with conversation. How can this be overcome? While each student may have things they find particularly difficult with English conversation, I have put together a list of ways to help students. These ideas can help even if you can only speak a little bit of English, or you have been learning for years. Actually, some of these pointers might even be helpful for someone that has been speaking English all of their life, but has difficulty expressing themselves in conversation. Work on these things one or two items at a time, until you are successful.